The New Mexico State Police say an Artesia man was killed Tuesday in an officer-involved shooting. 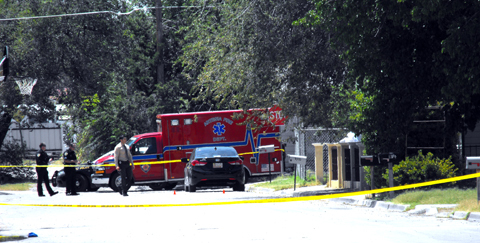 Artesia Police Department officers were dispatched around 11 a.m. Tuesday to West Runyan Avenue between Sixth and Heath streets in reference to a “shots fired” 911 call. 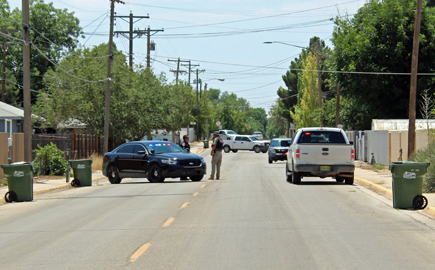 According to the NMSP, officers encountered Juan Reynaldo Duran, 36, of Artesia, who was armed with two firearms. During the encounter between Duran and the APD, shots were fired by at least one officer. Duran was struck and pronounced deceased at the scene. The incident continues to be investigated by the NMSP Investigations Bureau. The NMSP says the names of the officers involved will not be released until interviews have been conducted. All officers involved have been placed on standard administrative leave in accordance with APD policy. In a statement to the Daily Press Wednesday, Cmdr. Lindell Smith said the APD “looks forward to a neutral, non-attached State Police investigation team gathering facts and evidence that will allow people and agencies that have an interest come to a conclusion about what happened on Tuesday morning.